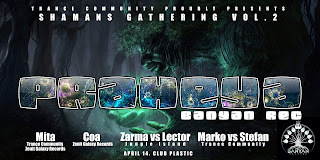 Posle 2 godine i Shamans Gathering vol. 1, gde smo ugostili Archaica, sada vam dovodimo još jednog genija šumskog psihodeličnog zvuka, ovog puta iz Banyan Records-a. Očekujemo vas u velikom broju, ovog puta u klubu Plastic. 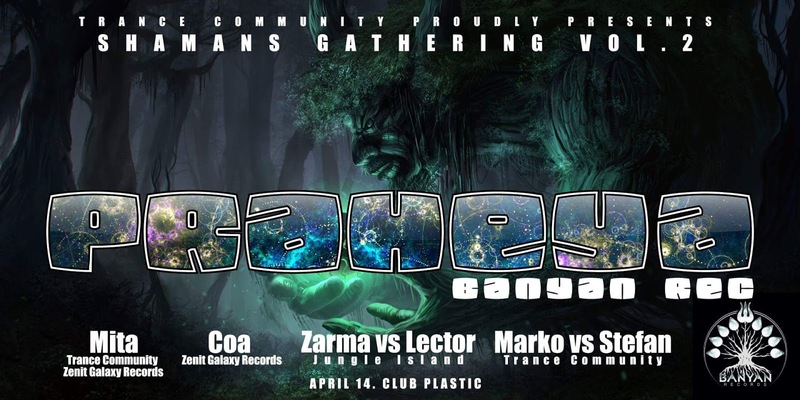 Playing mainly night-trance but also day-trance and chill out dj-sets @ parties and festivals for some years under the former dj-name ´cosmic tune´ - in june 2011 finally the actual artist name ´praheya´ manifested. my concept behind music-production is to create a space of frequencies which are natural and in harmony with the cosmos and therefore with the origin of every human being. in this space of natural frequencies the dancer tunes himself to his own natural state by moving his body to these sounds.